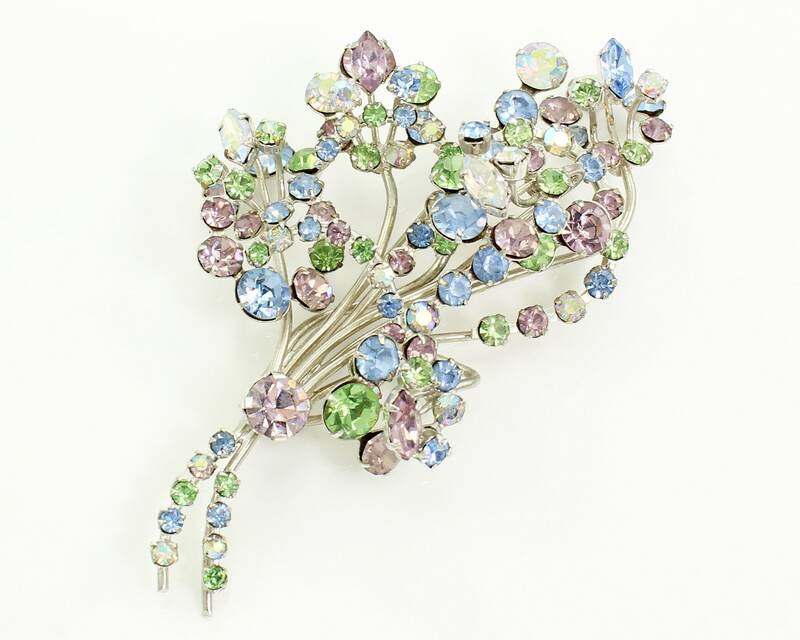 1960s Vintage Pastel Rhinestone Brooch Made in Austria. 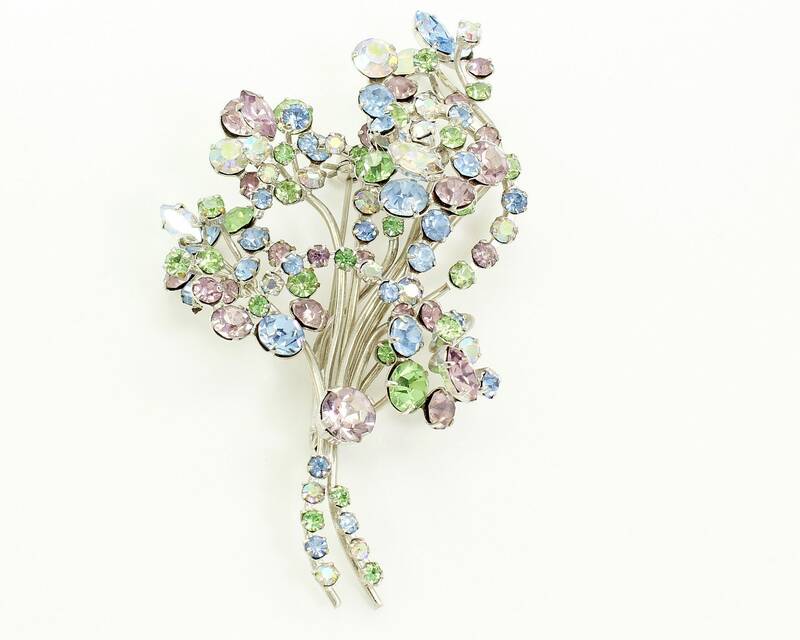 This beautiful bouquet of flowers is multi-dimensional and is prong set with lavender, pale blue, light green, and aurora borealis rhinestones set on silver tone wire stems. 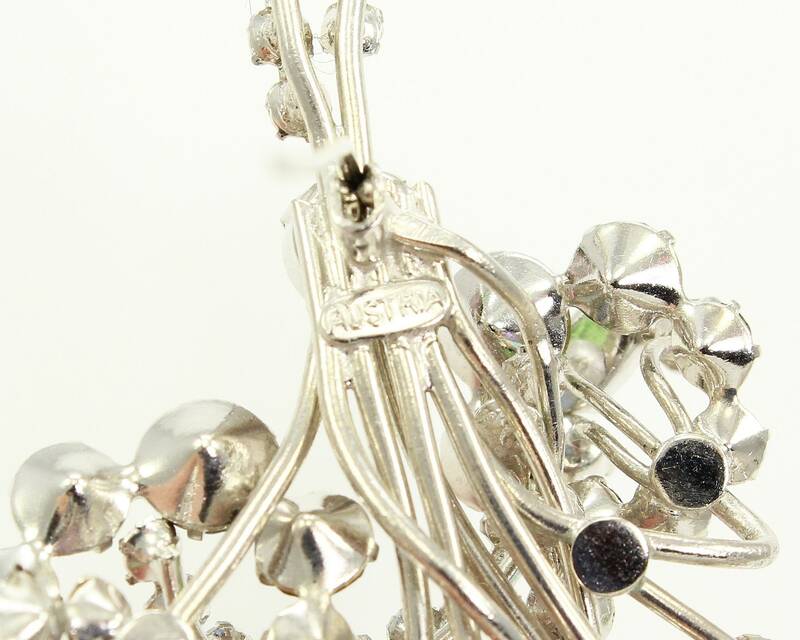 The brooch is marked on an oval plaque on the reverse stamped AUSTRIA. 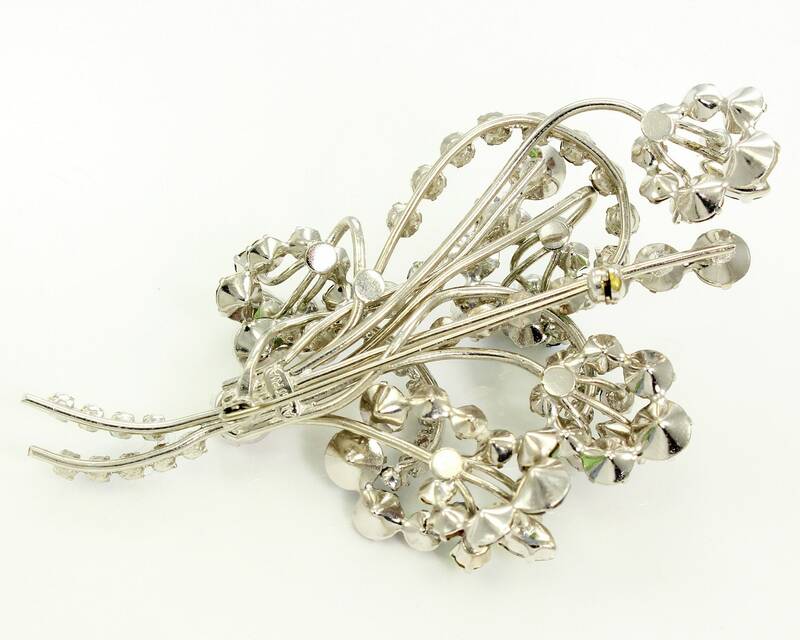 The brooch measures approximately 3 1/2 inches long and 2 inches wide. Finished will roll-over pin stem.